IIMATT (International Institute of Market Analysis and Technical Trading) is a professional market information, analysis, training and educational service provider to national and international active traders, analysts, brokers and corporate clients for financial markets. IIMATT (International Institute of Market Analysis and Technical Trading) is a professional market information, analysis, training and educational service provider to global active traders, analysts, brokers and corporate clients for financial markets. Financial services of IIMATT include Technical Analysis for Forex and Futures markets along with Trading Signals, Price Forecast, Market News, Education and Training. The analytical services include “Brain-Trained Market Analysis and Technical Trading” (BMATT) Hybrid Trend Technical Analysis, Intraday Counter-Trend Trading Signals while educational services include “Certified Market Analyst and Technical Trading” (CMATT) Training Course and Educational Videos. For market analysis under “BMATT Hybrid Trend Technical Analysis – Channel Action Edge” (Discretionary Style – Qualitative Analysis) IIMATT covers 24 markets traded at Chicago Mercantile Exchange, New York Mercantile Exchange, Intercontinental Exchange and Decentralized Foreign Exchange (FOREX). Futures contracts include Gold, Silver, Copper, Crude Oil, Natural Gas, Wheat, Rice, Sugar, Cotton, S&P 500, Dow 30, Nasdaq 100 & US Dollar Index. Forex currency pairs include EUR/USD, GBP/USD, AUD/USD, NZD/USD, USD/JPY, USD/CAD, USD/CHF, EUR/GBP, EUR/JPY, & GBP/JPY. IIMATT also provides Intraday Counter-Trend Trading Signals – High Probability Setups for 22 markets including Futures Commodities, Forex Currencies and Stock Indices. For price forecast, IIMATT gives average weekly and monthly price forecast of all major commodities, currencies and stock indices. IIMATT also provides personalized / customized analytical services and guidance to those traders who have register their account with IIMATT. CMATT is the training certification course of IIMATT which confirms the traders adequate knowledge and ability to make money in real environment. IIMATT provides interactive training sessions for traders to complete their CMATT program. “Selective News – News that Matters” is the market information and news service of IIMATT covering 24 markets including Gold, Silver, Copper, Crude Oil, Natural Gas, Wheat, Rice, Sugar, Cotton, S&P 500, Dow 30, Nasdaq 100 & US Dollar Index. Forex currencies include Euro, British Pound, Australian Dollar, New Zealand Dollar, Japanese Yen, Canadian Dollar, & Swiss Franc. This service includes Economic Data and other important news topics. For market education IIMATT publishes educational videos covering almost every topic of markets, trading, analysis, exchanges, brokers etc. IIMATT conducts effective training and educational seminars around the globe in which investors, traders and analysts get chance to interact with IIMATT founders and trainers. 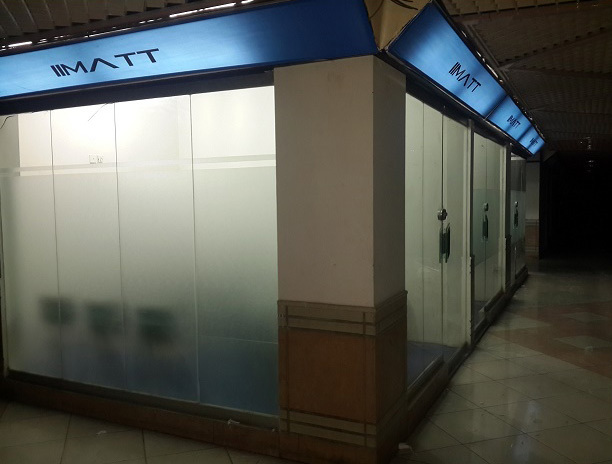 IIMATT also provides private training sessions for investors, traders, analysts and corporate clients. Incorporated in 2015 and headquartered in Pakistan, IIMATT started its financial and educational services in 2009 by the name of Bullion Research Center. IIMATT is committed to provide traders and investors with the tools and guidance they need to learn and trade successfully. IIMATT delivers quick and easy access to valuable market information that is vital for successful trading. 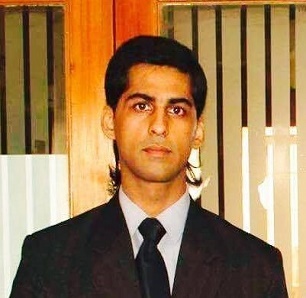 Shayan Ali is the CEO (Chief Executive Officer) and Founder of IIMATT. He is a Pakistani national and started his financial career from trading futures contracts at Chicago Mercantile Exchange in 2008 from Pakistan. Shayan has also written first trading book in Pakistan which was published by Pakistan Mercantile Exchange in 2013. He specializes in Discretionary Analysis including Price Action and Pattern Detecting strategies. Shayan is the writer and trainer of CMATT Program and he also gives personal and corporate training to active traders, brokers and institutional clients. Shumyl Khalid is the Business Development Officer (BDO) at IIMATT. She has done Bachelors in International Relations and currently doing her Masters in Mass Communication. She got his specialized training in “Exchange Trading” & “Business Development” from IIMATT. Along with business development, Shumyl also assists for CMATT Program.